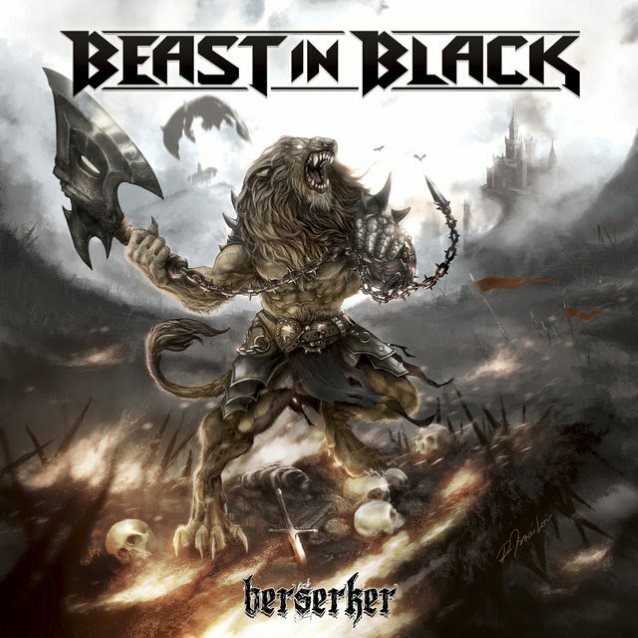 BEAST IN BLACK, the Helsinki, Finland-based metal band led by former BATTLE BEAST guitarist and main songwriter Anton Kabanen, will release its debut album, titled "Berserker", in November via Nuclear Blast. The disc was produced by Kabanen and recorded primarily at his studio, Sound Quest Studio. 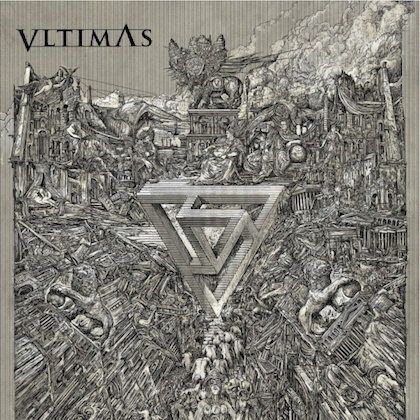 The cover artwork is a collaboration between Anton and Roman Ismailov, who was the original illustrator and graphic artist for BATTLE BEAST. Kabanen states: "Our wildest dreams came true when we made a deal with Nuclear Blast, the biggest and the best heavy metal label in the world! "We are thrilled about our debut album release in November and besides the massive anthem-like heavy metal songs, we'll promise unforgettable live shows all around the world as we unleash the 'Berserker' album!" The recording process for "Berserker" took more than a year and was completed this summer. The Nuclear Blast deal was inked almost immediately after BEAST IN BLACK put the finishing touches on the album. According to a press release, "Berserker" "continues in the style of Anton's previously composed works which include the first three BATTLE BEAST albums. 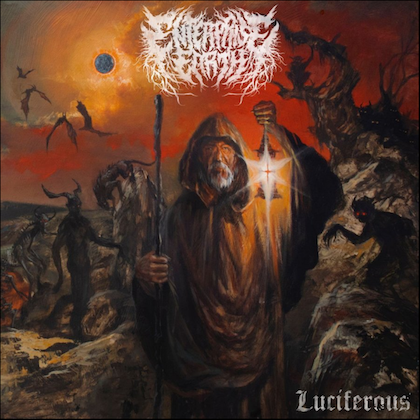 One of the essential themes on this debut album is the Japanese manga and anime Berserk." In a 2016 interview with Hungary's Hard Rock Magazin, Anton stated about his split with BATTLE BEAST: "To be honest, I'd prefer not to go into the truth how I see it, because probably it would only start an ugly and endless war of words. But at least to squeeze it into minimum without going into details, I can tell that hypocrisy, lying, opportunism and blackmailing was the name of the game. The whole thing was just wrong and twisted and there is no more BATTLE BEAST, if you ask me." Kabanen admitted that it was "hard at first" to move forward after his departure from BATTLE BEAST "but the only solution was just to keep going." He added: "I got support from many dear people; fans, friends, colleagues, family and etc. I'm grateful to everyone who stood by my side. My passion is to create music and I always do it with full heart and uncompromised. So I kept writing new songs and tried to focus in forming a new band/project that would consist of people whose musical professionalism matches — or surpasses — my expectations and of people who would be honest and loyal friends." 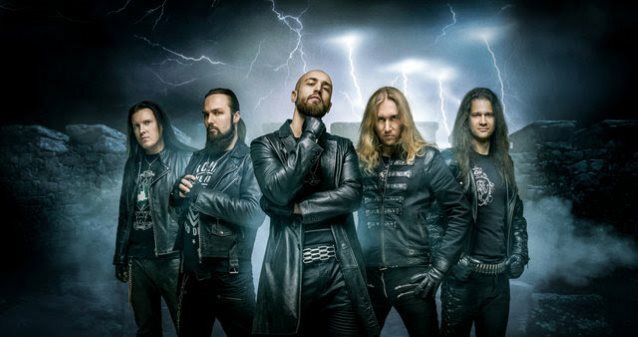 Regarding why he chose to keep the word "beast" in the name of his new band, Anton said: "I want to continue my vision which I originally started with BATTLE BEAST. Basically, it means writing my own songs with freedom, and the beast has already become an essential part of my life. It's something like Eddie of IRON MAIDEN." 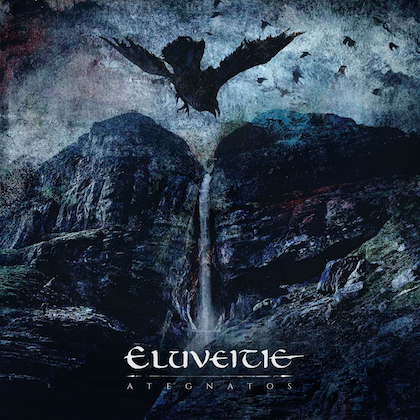 Asked how he would compare the music and the overall vibe of his new band to that of BATTLE BEAST, Anton said: "The feeling in this group is totally different. And only in a good way. Everyone can be themselves and we enjoy each other's company and I believe people will feel and see it. In BEAST IN BLACK, the level of musicianship is much higher than in BATTLE BEAST. The band rehearsals, the album recordings and the communication is so much smoother. The music itself is not gonna be so different, but it's gonna be more powerful and heavy." Video footage of BEAST IN BLACK performing a new song called "Go To Hell" at last year's Tuska festival in Helsinki, Finland can be seen below. BATTLE BEAST singer Noora Louhimo told Metal Assault earlier this year that the band parted ways with Anton because he "wanted to do all the songs and make decisions on everything, and we weren't willing to do that. We wanted this band to be involved, and have everyone write songs if they want to."